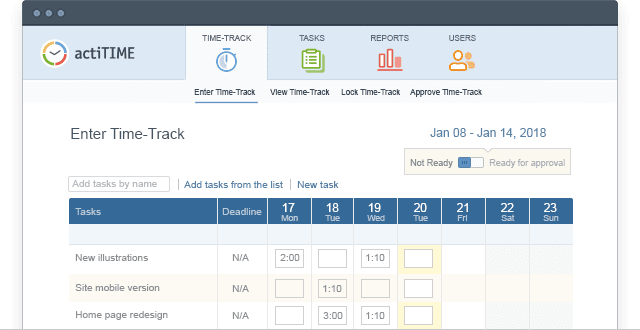 Create project scope and assign it to the project teams, so that everyone knows what they should work on. Always keep on top of your project’s activities and resources. Record work hours manually or use the timer available in the mobile app for more accurate data. 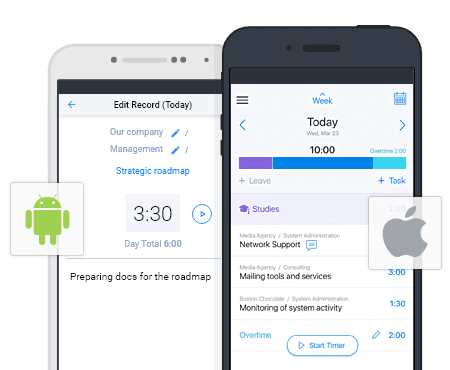 Get a full overview of what your staff is working on, identify any bottlenecks, and improve team’s efficiency. Create a more agile and lean workflow with a highly visual Kanban board. 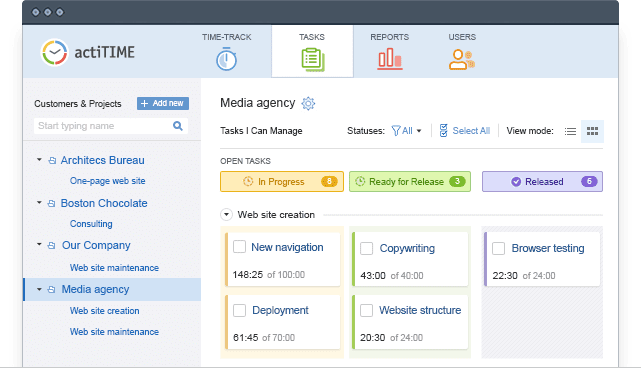 See the project progress at a glance, collaborate easily and deliver work faster. Run detailed reports on any aspect of your business. 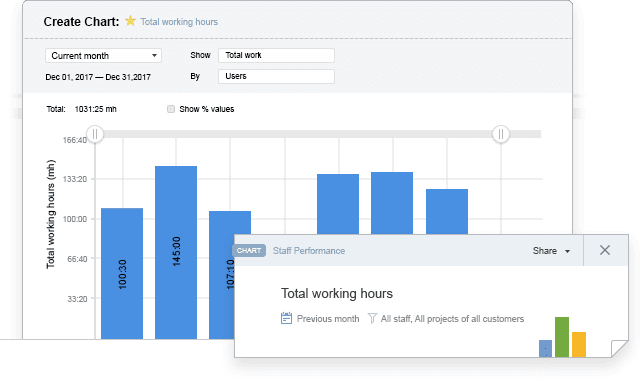 Review and analyze the data on project performance, employee output, profits and losses, and more. 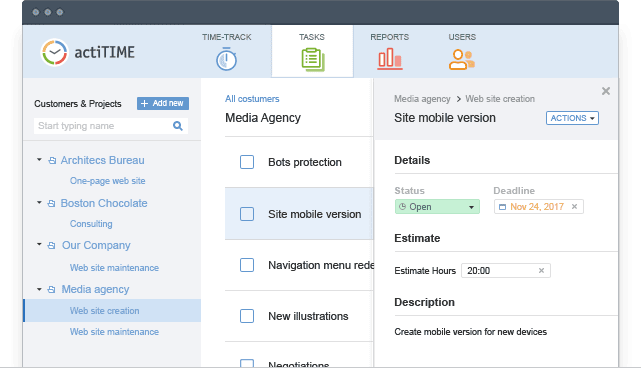 With several customization options available, actiTIME easily adapts to your specific work process. 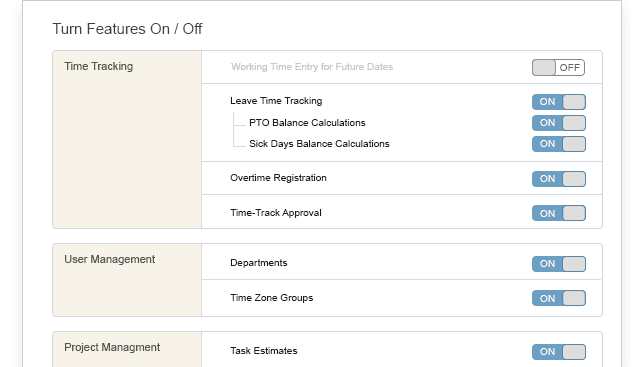 Turn any features on or off as necessary, set up visibility levels, and create your own work structure. 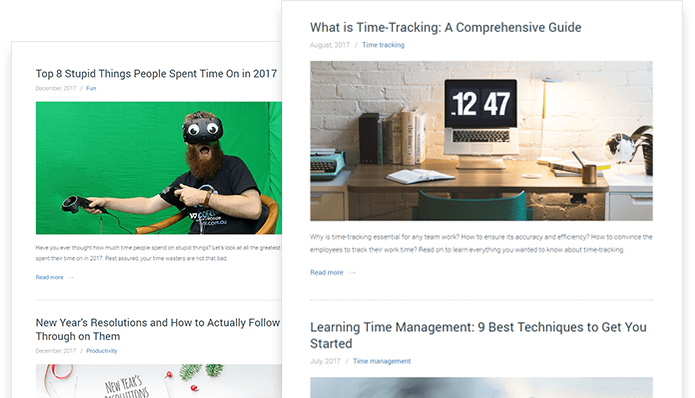 Read our insights on time tracking, process management and productivity — over the years, across all industries. Are you ready to drive your business growth with data? Sign up for a free trial and see how things are getting better.